Seats the whole family. 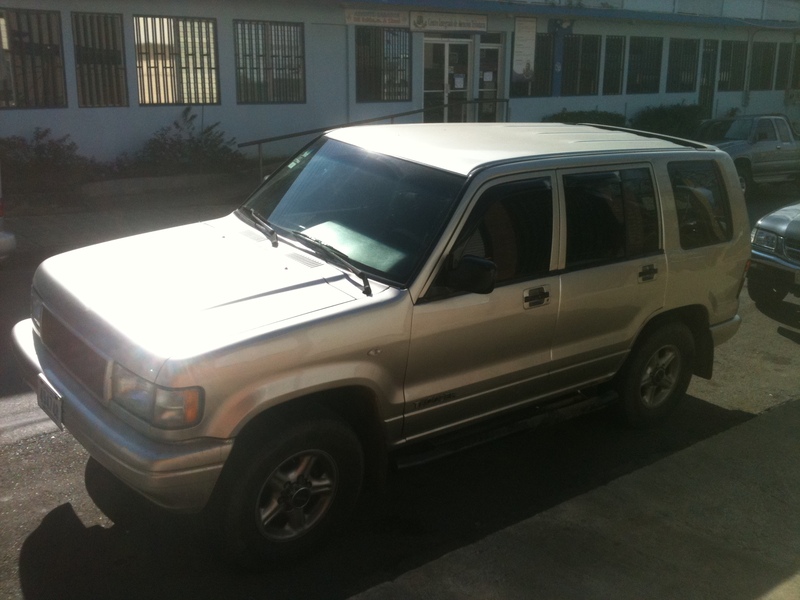 94 Isuzu Trooper. Solid ride, 4×4 for bumpy Costa Rica roads, and a color that doesn’t show dirt. I drove seven hours to San Jose and back the day I bought it, and it performed like a champ. We’re considering names for the car; suggestions are welcome in the comments!